Nobody is better suited to undertake such a challenge than Valery Gergiev and his Mariinsky Orchestra. Over a period of a year all 15 Symphonies and 6 Concertos have been recorded at Salle Pleyel in Paris. What an adventure for the artists and the big production team! 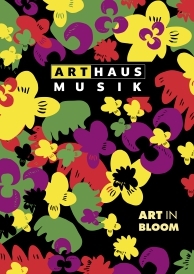 Never before in the history of television has something like this been undertaken including the very first “Ring” for television at Bayreuth. Dmitri Shostakovich is arguably one of the greatest composers of the 20th century. To understand his music one needs to see it in the context of his life, his social environment, the political situation, the unbelievable brutality with which the Communist Party enforced its ideological credo and the subtle ways with which Shostakovich succeeded in combining his innermost thoughts with the demands of Socialist Realism. He was a man of many faces. And beyond any doubt Dmitri Shostakovich was a musical genius. 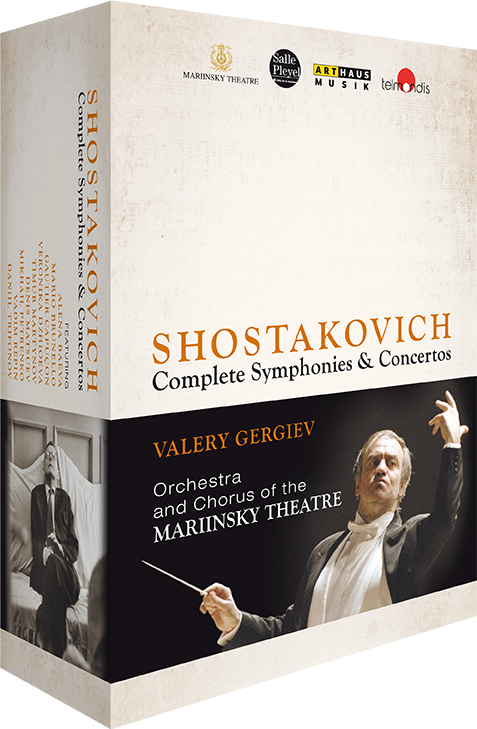 SPECIAL FEATURES: The Shostakovich Cycle includes introductions for each symphony and concerto by Valery Gergiev. The fascinating documentary “Dmitri Shostakovich – A Man of Many Faces” explores the life and work of the composer based on rare archive footage and interviews. A comprehensive book with particularised texts about each symphony and concerto provides deep insights into life and work of Dmitri Shostakovich. And the Play Music Only Function is available to experience Shostakovich’s wonderful music nonstop!